You are here: HomenextTopicsnextCarnivals and fetesnextPersonal pictures of carnival preparations. Personal pictures of carnival preparations. Sent in by Karen Ridgeon. 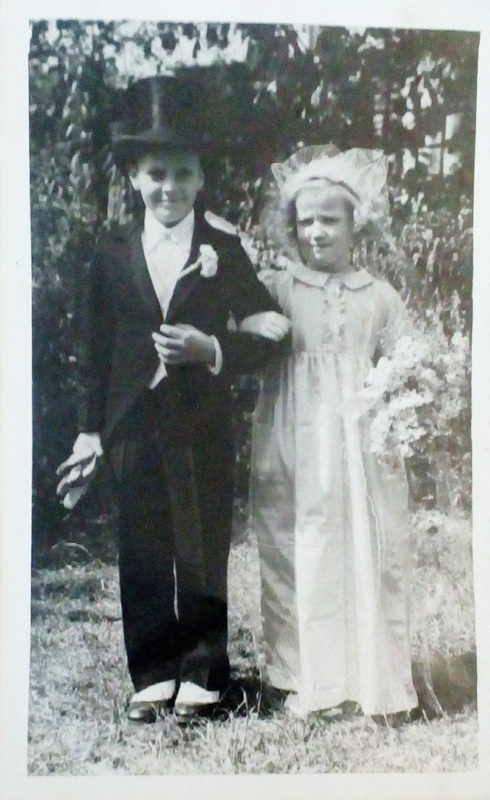 The picture of the bride and groom is of my Auntie Pat ( Kathleen Taylor) and her friend Brian Whiting. She was approximately 5 or 6 years old when this picture was taken in the garden prior to the carnival. The second picture was possibly from the same year. My Auntie Marina (Taylor) and her friend Pam Thompson. All our Yesterdays - "Carnivals"
Photo memories of Wickford carnival in the late 1940s. The Castle, as a background to 1987 Wickford Carnival. Wickford Carnival 1946, preparing for a sport and recreation ground. Wickford Carnival 1979, the Court. 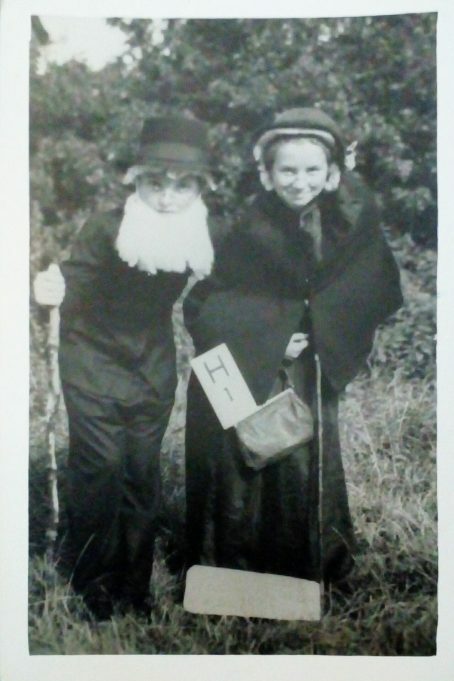 Wickford Playleadership at the 1967 and 1968 Carnivals.